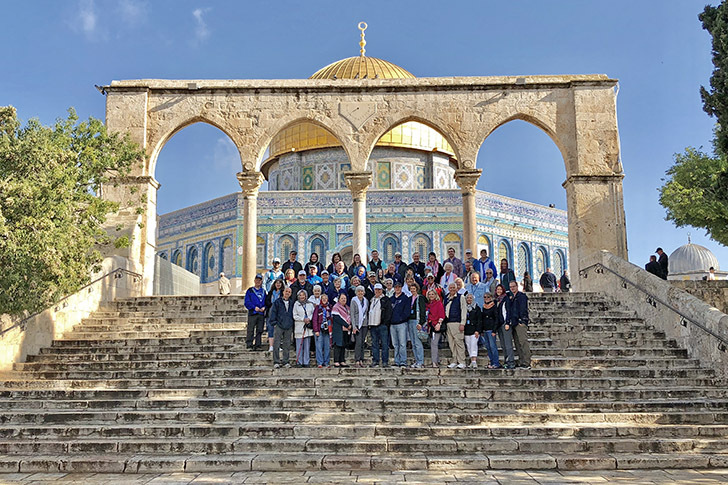 Join the Proctors for our Deluxe Holy Land Tour in 2019! This is the trip you always dreamed of . . .This trip is designed for those who have a little shorter time than our Ultimate Holy Land Tours. The cost is only $2,148 cash or check ($2212 credit card) per person based on double occupancy (see all details below). You’ll want to book as soon as possible as our Holy Land Tours usually fill up within a very short time. Call our agents now at: 801-453-9444 or toll free 888-707-4386. 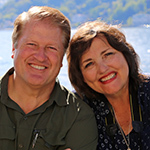 You will be traveling with others who share similar beliefs and you will hear from Scot & Maurine Proctor (you know these two!) who are among top LDS scholars on the Holy Land. It is the spirit and feelings you get in these sacred sites that you will always remember, and that you will cherish for the rest of your life. Depart from the United States (or other country) for your transatlantic flight to Israel. There’s nothing quite so exciting as landing after a long flight and being in the Holy Land! Arrive in Tel Aviv. Transfer to the hotel and spend the evening on our own preparing for our amazing experience together. Later that night, The Proctors and Diane Larson, the Cruise Lady, will hold a “Welcome to Israel” meeting to go over the itinerary and meet everyone else in our wonderful group. Mark our words, before long we will all become like family! Scot Proctor standing by the ancient aqueduct built by Herod “the Great” over 2,000 years ago. Today you will walk where Jesus often walked during His mortal ministry. You’ll never forget a sunset over the beautiful Sea of Galilee. Cave 4 at Qumran yielded thousands of priceless manuscript fragments. This scene from the Mount of Olives will be indelibly printed on your heart. Shepherds’ Fields in Bethlehem will give you a sense of how it must have been that holy night. Everyone loves our visit to the Garden Tomb. TOUR COST: $2148 per person based on double occupancy. Space is limited to 46 so BOOK NOW! Call the Cruise Lady office at 801-453-9444 or toll free: 888-707-4386. You may speak to any of our wonderful agents there at the Cruise Lady. Those of us who are not able to go on this Tour of Israel are not envious of those who can afford it. We pray for your safety from when you leave your home untill you return home: full of joy for having shared your time with like minded children of a wonderful Heavenly Father. We look forward to reading of your emotions as you worship together: "whether you are eating or drinking, do all things for God's glory.